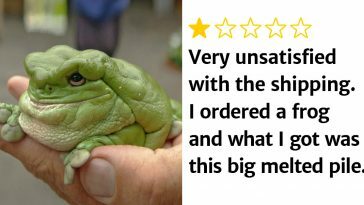 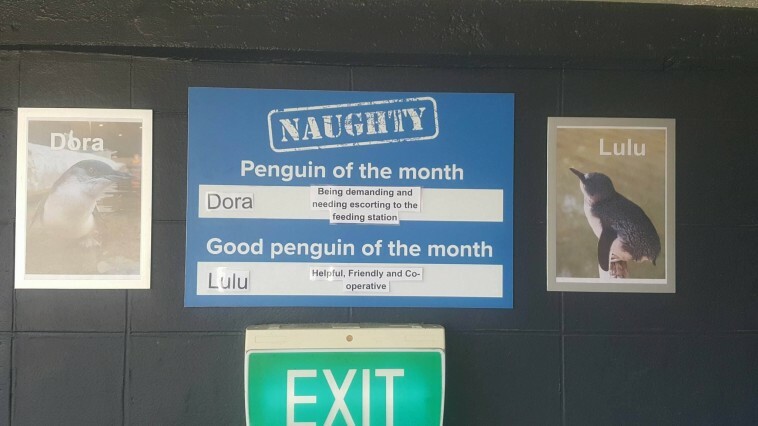 The National Aquarium of New Zealand came up with a funny idea to get people to know the penguins of their facility. 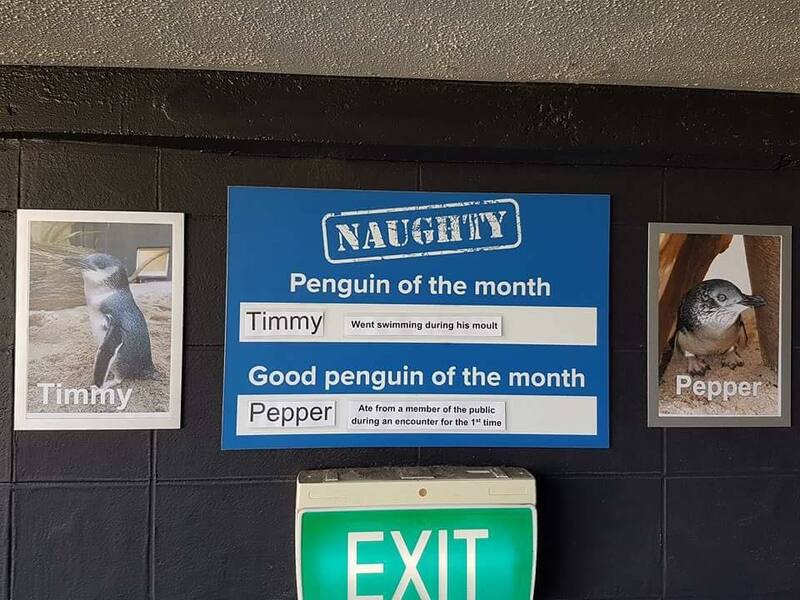 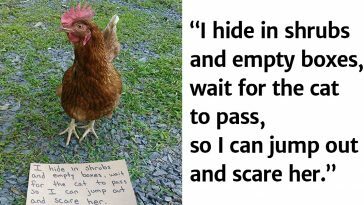 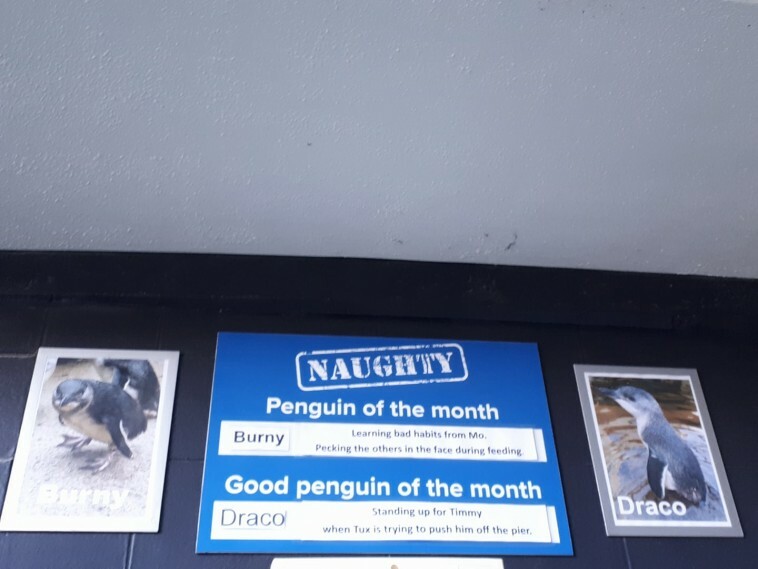 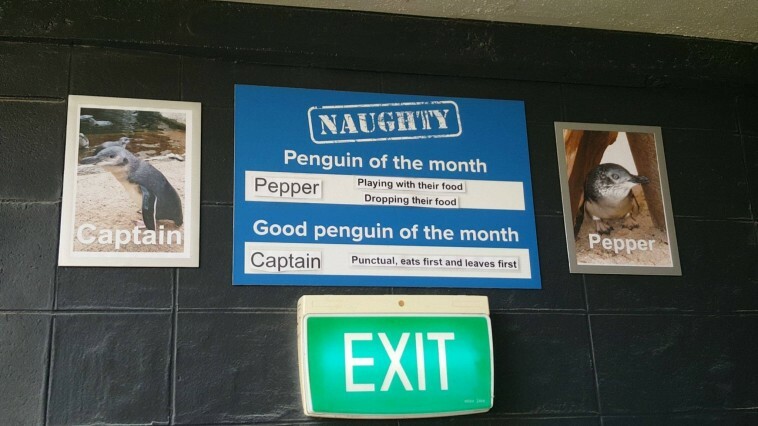 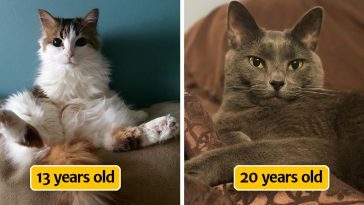 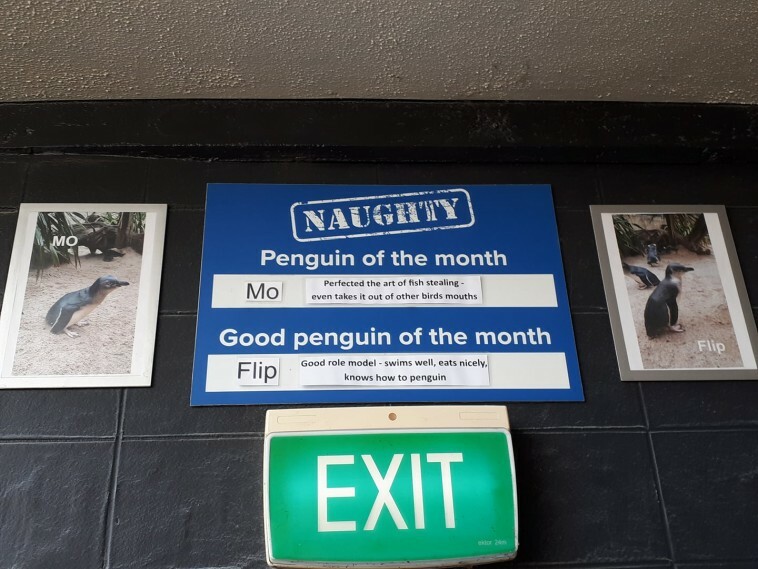 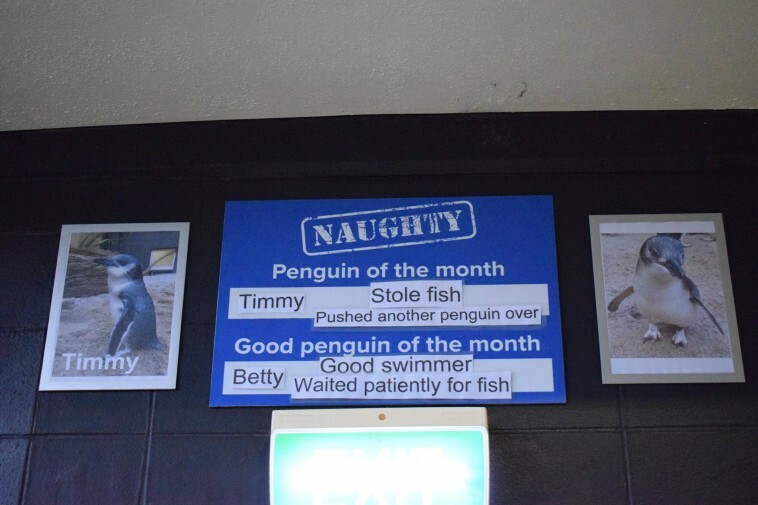 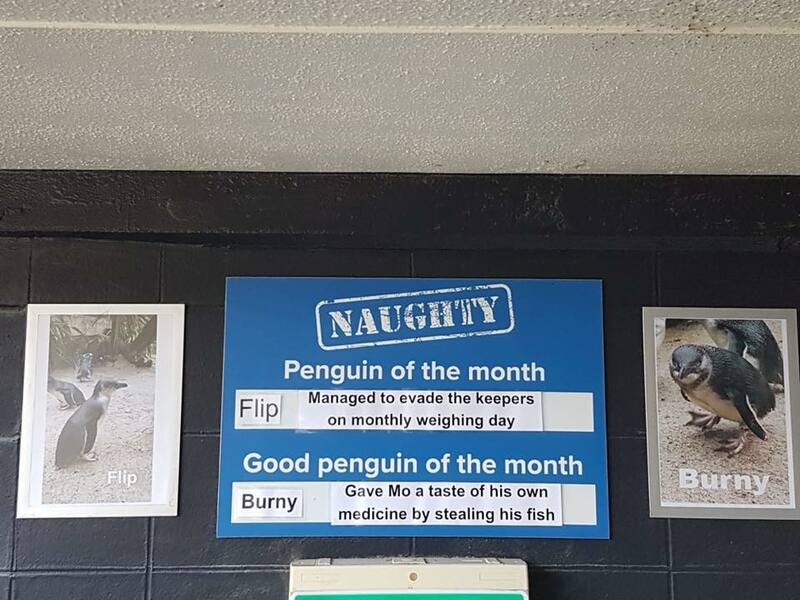 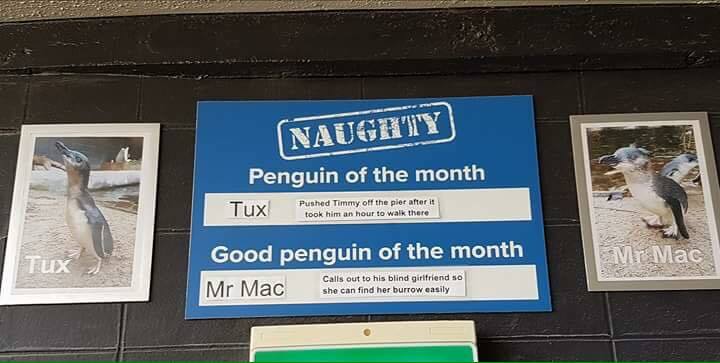 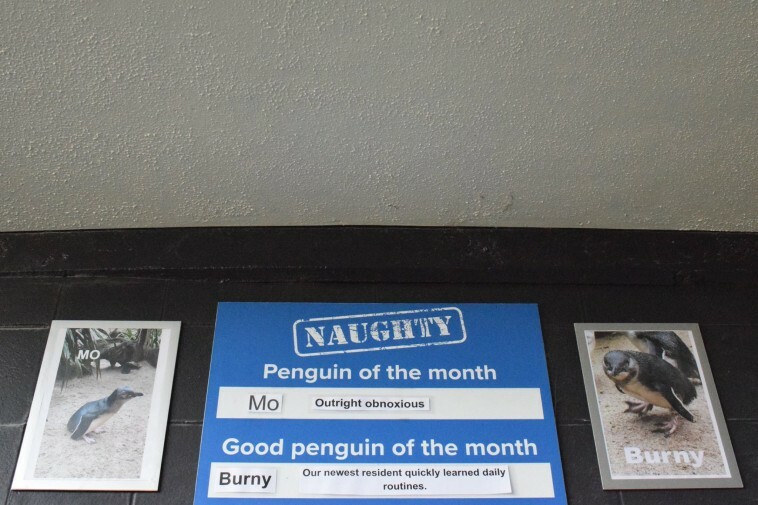 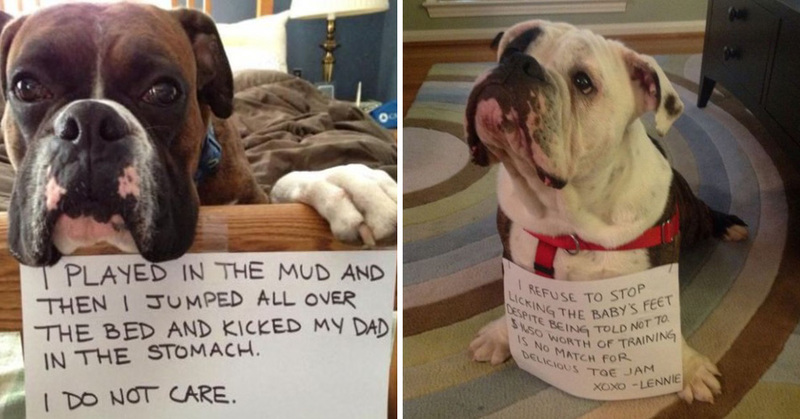 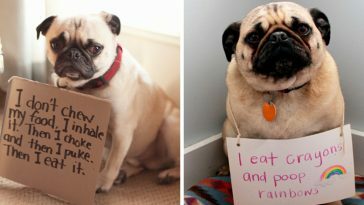 For more than a year, they’ve been picking the naughtiest and the best penguin of the month, publicly shaming or praising them with a big sign explaining the reason on the choice. 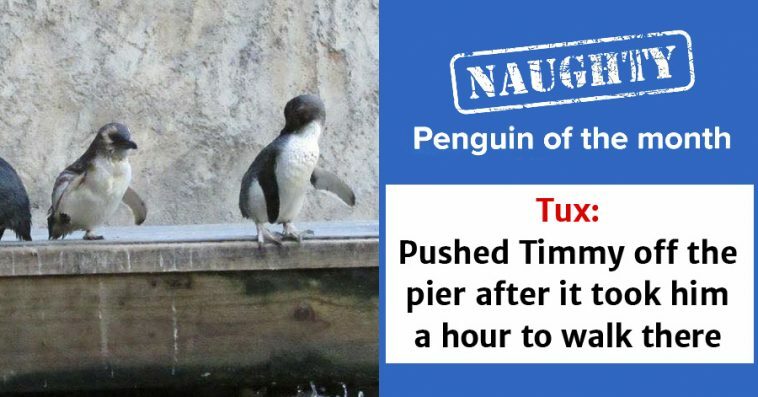 Needless to say, the crimes some penguins committed to be judged as “naughty” are quite hilarious, and include stealing other penguins’ food or pushing friends off the pier.